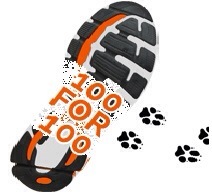 What is the 100 FOR 100 Movement? This entry was posted in Being humane makes us human, Inspirational, Training, Weightloss, health & fitness and tagged 100 animals, 100 km, animal rights, animals, challenge, health, healthy, movement, nutrition, plant based diet, rescue, running, vegan, vegan diet. Bookmark the permalink. 2 Responses to What is the 100 FOR 100 Movement?